Julian Assange (WikiLeaks.org) — “Well, that’s the allegation. We’re set up in such a way that we don’t know how we come by them [documents]. That’s part of the technology involved, that people can give us material. And if you really want to keep sources safe, you need to make sure that no one, even inside your own organization, can tell what’s going on. Even if you are penetrated by intelligence agencies, you can’t out your own sources. 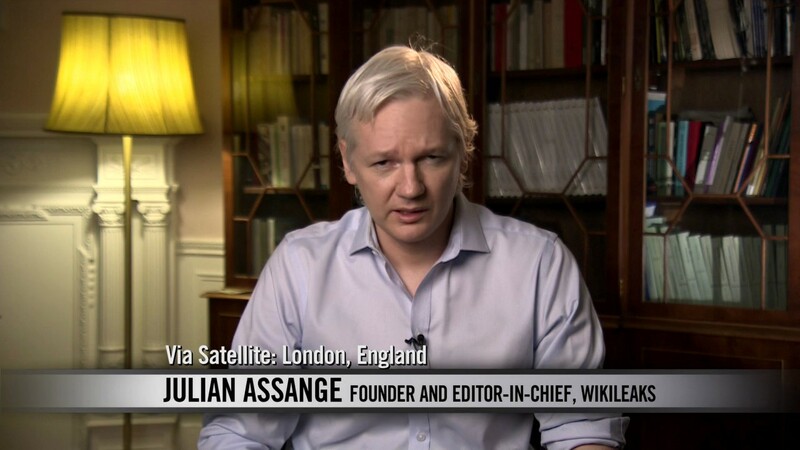 Julian Assange — “Well, if you engage in these hypotheticals like 24 [TV series], then you can justify anything. You can justify torturing people with hypotheticals and ticking time-bombs and so on. But unlike most media organizations, we have a publicly stated policy on what we publish and what we don’t publish. We don’t make this up based on our political alliances like most organizations do. We accept material that is political, diplomatic, or historical, or ethical significance, that hasn’t been published before and is under some kind of censorship threat. If it meets all those criteria, we will throw our resources into publishing it, and defending it. We may keep some portions of it at bay for a period of time if it would subject someone to reprisals, for example. We promise to publish all eventually, but some pieces may need to be withheld for a period of time. Julian Assange — “Yeah, maybe. I mean I can see arguments for, in the minutes of the negotiations, that the negotiations need confidentiality at the moment they are happening. But we’re talking what’s happening a significant time afterwords. And you know, this is a matter of there being costs and benefits. We look at the benefits of what we’ve published. I mean there’s massive reforms around the world. These documents that we have published contributed significantly to the Arab Spring. That’s not us saying that, that’s Amnesty International and a lot of other reports saying that. But in the end, yes, sometimes the State Department and other organizations have a responsibility to keep things secret for a limited period of time. They failed in that responsibility, arguably. Us, as a publishing organization, we have a responsibility also. And our responsibility is to publish fairly and fearlessly, and represent the whistle-blowers who bring us material. And it’s alright for different bodies in society to have conflicting roles. That’s what keeps all our different organizations honest.